← Audio Book Now Available! 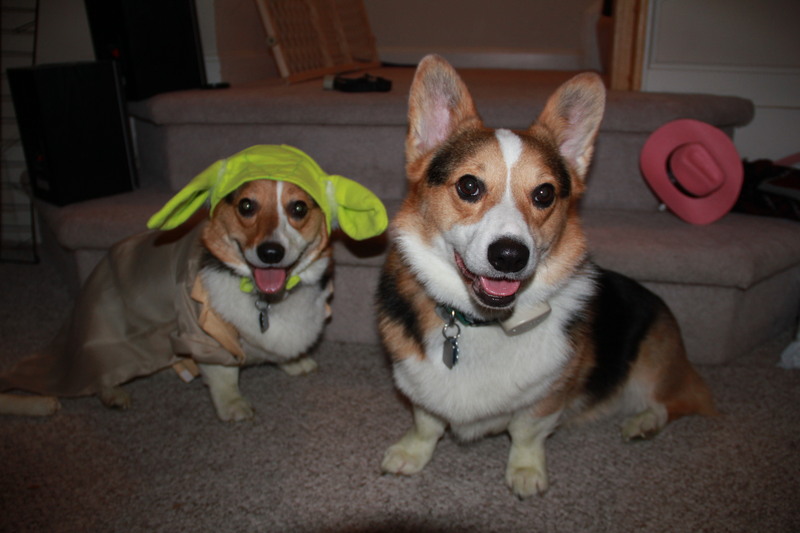 Understandably, Star Wars Day is a special day for Leia and Yoda Corgi. When we first brought the corgis home, we thought about what to name them. As a writer and English teacher, I had already told myself that when I got a dog, I would name him after an author or a famous literary character. Chaucer was at the top of my list. 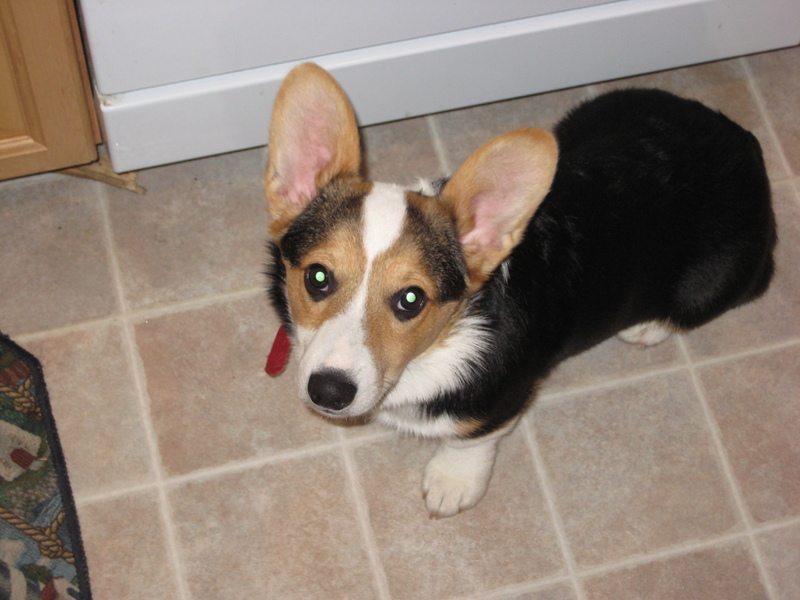 But when we saw our little corgi pup, his ears were so large (they were already sticking straight up when we got him) that he reminded us of Yoda from Star Wars. The name stuck immediately. Yoda on his “gotcha day,” a tiny pup with huge ears. Since we adopted a sister and brother, we decided we needed a female name for Yoda’s sister. I thought about Princess Leia’s famous hairdo, the one with two braids wrapped at the sides of her head. The puppy had also been acting like a princess from the moment we got her, so Princess Leia sounded perfect (though to prevent her from having a superiority complex, we just call her “Leia” for short). Leia dressed up like Yoda for Halloween (Yoda was afraid of the Yoda costume and decided to go as himself!). When I wrote Corgi Capers, I wanted to name the corgis in a similar fashion, after famous characters that my protagonist, Adam Hollinger, was fond of. Because of both my desire to avoid copyright issues and to “make it my own,” I decided to create a fictional famous outer-space comic book series that Adam could draw from to name his pups. In Corgi Capers, the pups are named Zeph and Princess Sapphie (but just “Sapphie” for short—Sapphie doesn’t need a superiority complex, either). Zeph is loyal and intelligent just like his namesake. Logan Zephyr is a fearless space commander who leads his crew, the Stellar Squadron, around the universe in search of adventure. Though Zeph the puppy is often fearful, he tries hard to live up to the bravery of his namesake, displaying courage even when he’s trembling inside. 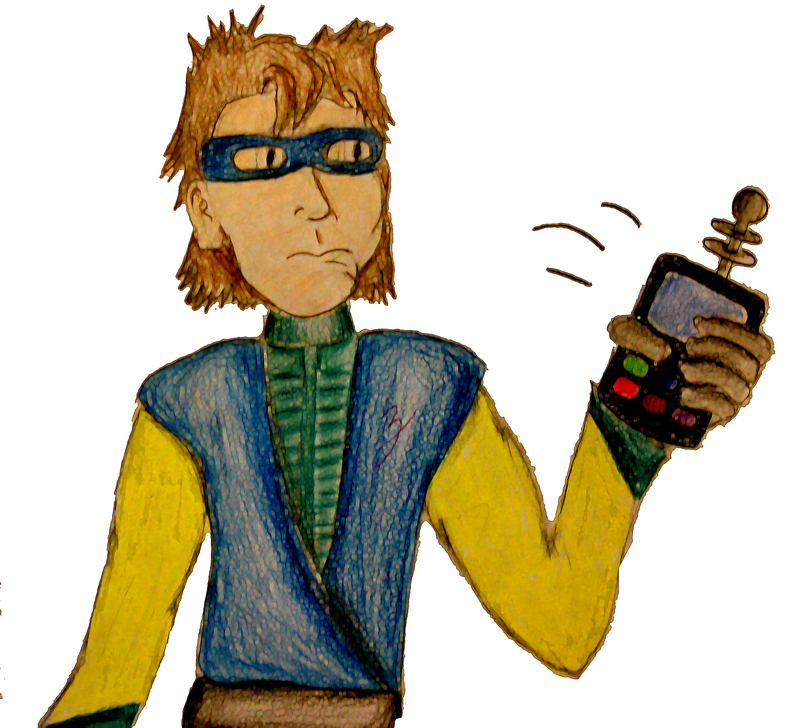 A sketch of Logan Zephyr, one of Adam’s favorite comic book characters in Corgi Capers. During one of his adventures, explorer Logan Zephyr comes upon a strange planet covered in quicksand. Underneath the quicksand is the beautiful Sapphire Kingdom inhabited by a princess named Princess Sapphire. Instead of being forthcoming about the fact that she is lonely and trapped on her isolated planet, she uses deceit and flattery to lure the explorers to her, and she uses treachery to try to trap them. Though she is beautiful and kind, she has a dark side. Adam decided this would be a perfect name for Zeph’s rambunctious sister, who is sweet when she wants to be but likes to dominate any situation and prefers using tricks than brains simply because it’s more fun. 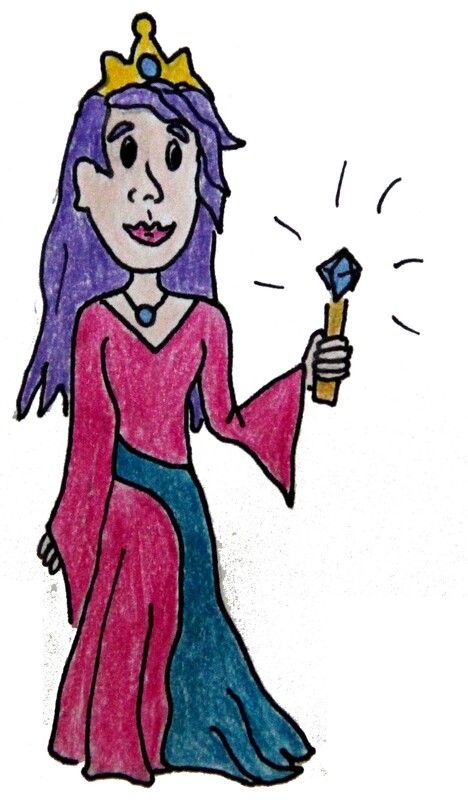 A sketch of Princess Sapphire, the princess Logan encounters during one of his adventures. Each May the Fourth, I’m reminded of the corgis’ “gotcha day” and the fun we had in naming them and introducing them to their new home. Since then, each day has been a new adventure, and I’m glad the corgis are along for the ride. Tomorrow, we have a special guest post about naming dogs from awesome author C. Hope Clark. Stay tuned! 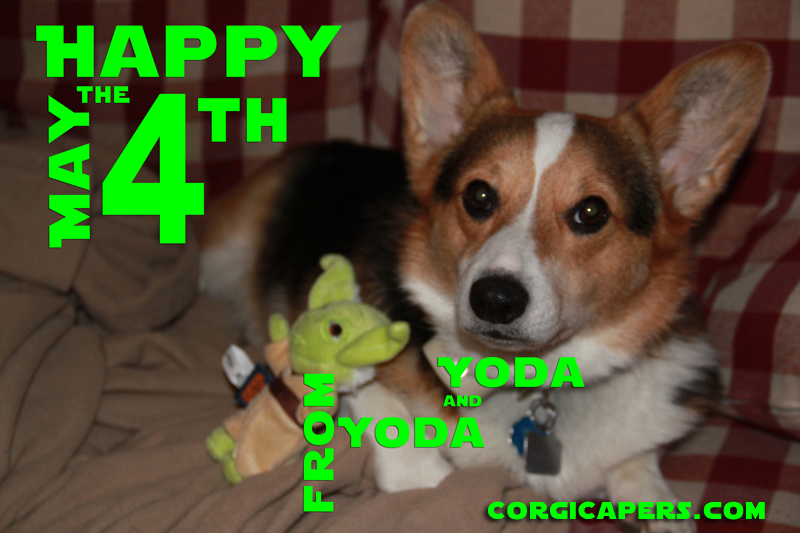 Posted on May 4, 2014, in character, corgi, corgi capers, Corgi-Versary, holiday, photo, puppy and tagged corgis, gotcha day, Leia, May the Fourth, puppies, sapphie, Star Wars, Yoda, Zeph. Bookmark the permalink. Leave a comment.